Neuropathy refers to a broad grouping of conditions which involve nerve damage, however for the purpose of this article I will focus solely on nerve pain. Pharmaceutical interventions for nerve pain range from gabapentin to antidepressants, which often have unpredictable analgesic effects. Undesirable side effects from these medications are common and as a result many patients are motivated to seek nonconventional solutions. It is estimated that 10-15% of patients with non-cancer pain use cannabis for pain relief. Concerning cannabis, legislation and public opinions are changing rapidly across the globe. In the United States and Canada, trends point toward a national policy on medical cannabis and the eventual full legalization of recreational use. Now more than ever, patients have at their disposal large catalogs of Cannabis indica, Cannabis sativa, and hybrid strains, many of which have reported benefits for specific ailments. The first positive study examining cannabis and pain was published in 1899. In the late 1990s, there was a resurgence of research interest in the medical uses of cannabis. In 1999, the Institute of medicine formally acknowledged the potential medicinal value of the Cannabis species, including the treatment of neuropathic pain. Two placebo-controlled, double-blinded, crossover studies investigating smoked marijuana and HIV related sensory neuropathy found reductions in pain between 30 and 46%. Secondary improvements in mood, sleep, physical disability, and quality of life were all reported. Adverse effects were self-limiting and usually consisted of headaches, dry eyes, respiratory irritation, and feeling “high”. A euphoric effect of the drug is not required for pain relief. Significant pain relief was achieved with THC blood levels less than half of what would be consumed recreationally. Subjects were able to remain on opiates and other pain meds without interactions. Studies investigating spinal cord injury neuropathies showed greater pain relief using cannabis than gabapentin or opiates. Synergism between cannabis and other analgesics has been noted. Another study evaluated the effectiveness of cannabis in the treatment of diabetic neuropathy. Painful diabetic neuropathy appears to be increasingly common, and currently approved medications don’t provide adequate relief to most patients with this condition. This study did show that in fact cannabis can blunt the pain of diabetic neuropathy without seriously impairing cognitive function. 16 patients with diabetes mellitus types 1 or 2 who had experienced painful diabetic neuropathy for at least 6 months were recruited for this study. 4 different strains of cannabis were used in this study, the different strains each contained varying THC concentrations of 0%, 1%, 4% and 7% by weight respectively. The researchers randomly assigned 400 mg of one of the strains to each of the patients, then crossed them over to each of the other doses with 2 weeks between sessions. Participants rated their spontaneous pain and also the pain they experienced in response to a gentle stroke from a 1-inch foam brush as well as a pinprick with a 5.18 von Frey hair filament on the dorsum of the more painful foot. They rated their pain at 5, 15, 30, 45, and 60 minutes and every 30 minutes thereafter for 4 hours after vaporizing the cannabis. Analgesic effects lasted all 4 hours. The average spontaneous pain intensity score in the control dose (0% THC) was 0.44 points higher than the pain score in the low dose. It was 0.42 points higher than the score for the medium dose and 1.2 points higher than for the high dose. The researchers evaluated the participants’ psychomotor speed, attention, and cognitive sequencing capacities using the Trail Making Test in which the participants had to quickly connect a series of dots and arrange circles in a designated order. They also measured attention, working memory, and information processing speeds using the Paced Auditory Serial Attention Test (PASAT), in which the participants had to add a series of numbers. The overall differences between doses in changes from baseline were not statistically significant. But the researchers found that the patients taking the medium and high doses lost some speed on a portion of the Trail Marking Test and scores on the PASAT. Although none of the cognitive scores dropped into the “impaired” range, all the participants said they felt euphoria or “sleepy”. They rated their highness on a 10-point scale and the researchers estimated that their average score increased by 1 point for every decrease of 0.32 points in pain. This latter study is one of few studies which evaluated the clinical use of vaporized cannabis. Vaporization has advantages over other routes of administration particularly to smoking. Vaporization heats the plant until a THC/CBD vapor is formed without combustion. 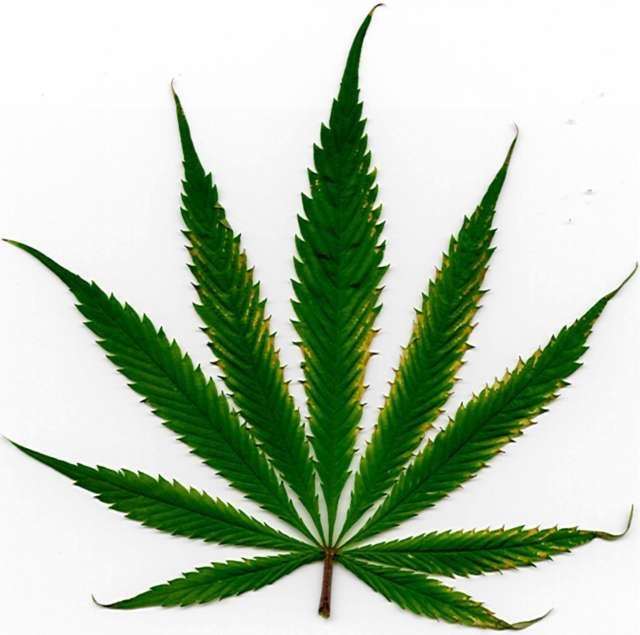 It avoids the tar and some of the carbon monoxide in burned marijuana leaves. Vaporization allows for exact dosing, unlike other methods of ingesting cannabis. These studies indicate a need for larger clinical studies to study the potential for cannabis as a long term treatment. One avenue for future research is to test cannabis with less THC and more CBDs. It is also possible that THC, CBD, and hundreds of other cannabinoids have a synergistic effect on pain relief as well as other medical conditions. Anecdotally, it is known that cannabis extracts standardized to contain a THC:CBD ratio of 1:1 are effective for pain management without cognitive impairment, however more clinical trials are needed. Future longitudinal studies would provide more information about the medical applications of cannabis. What strains are best for certain medical conditions? What dose provides the most benefit with the lowest risk of cognitive impairment? What other potential medical applications can be derived from cannabis? What are the best delivery methods? Cannabis can be administered via many forms, and it’s hard to know which is ideal without studying all of them. Research is difficult as well in the United States because marijuana is classified as a Schedule 1 drug, making it difficult to obtain and dispense to participants. However as medical and recreational cannabis initiatives spread like wild fire across the county, I anticipate an explosion of research opportunities.